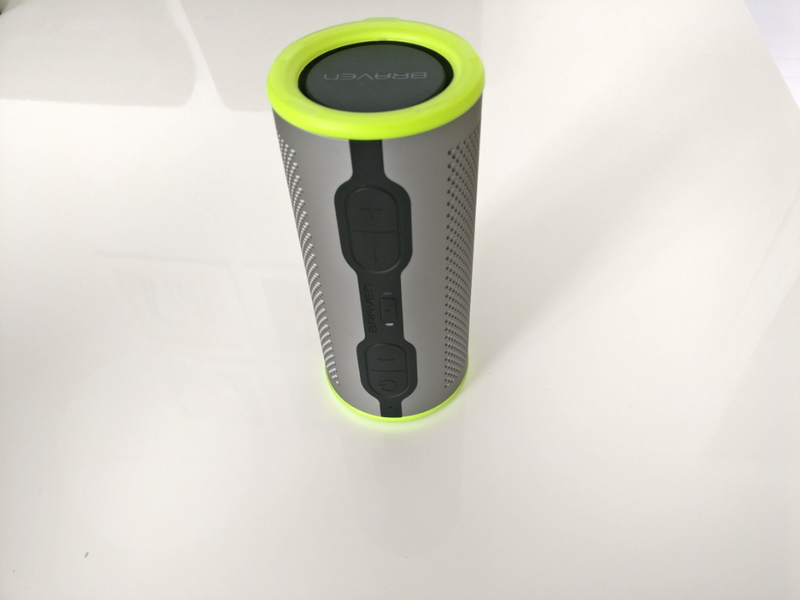 We’re back with our latest Bluetooth Speaker review. 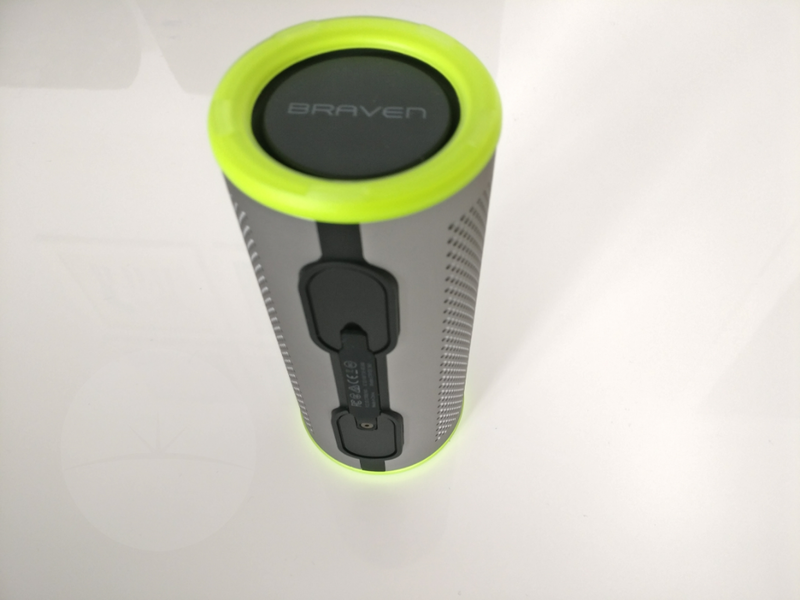 For the last two and a half weeks, we have been testing the Braven Stryde 360. If you’re a regular reader of our reviews, you’ll know we gave our opinion on a wide variety of speakers over the years here, some good, some bad and everywhere in-between. Be it cheap speakers that stick to the tiles in the bathroom to more expensive and well known brands, you can find more here…. The Braven Stryde 360 arrived at DH HQ lightly packaged in it’s display case, my first thought was I hope it wasn’t damaged inside. I need not worry, the mentioned display case offers great protection and might take 5 minutes to get opened. 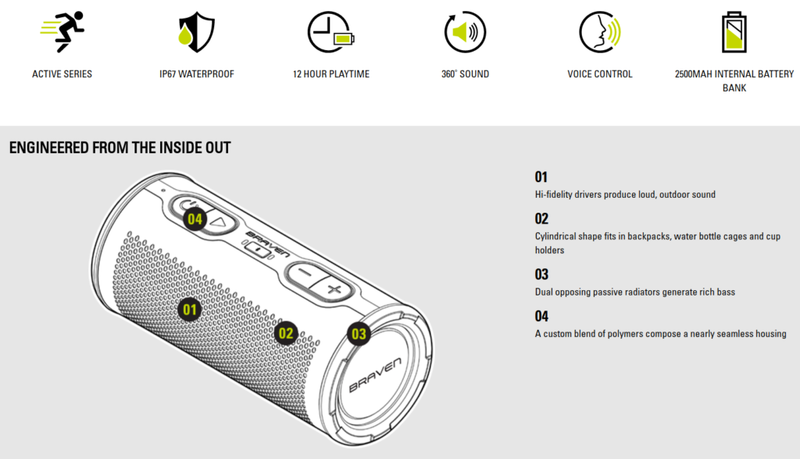 Inside you’ll find the speaker (obviously), along with a quick start guide, product registration and a short micro USB to charge the speaker or the other way to charge a phone or media player. 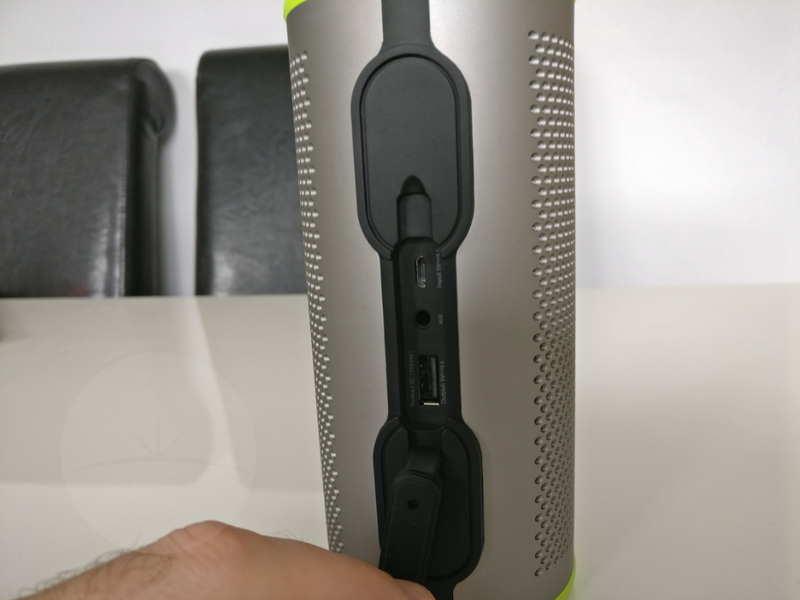 Although good packaging doesn’t equal a good product, first impressions unboxing were good for me, we’ve reviewed Braven hardware before, the company is well known and respected in the portable audio field. The ” can style “design will be familiar to many. Standing proud at 6.5 inches tall, the Braven Stryde 360 isn’t unsightly or huge looking. With speaker grills taking up both sides, thick rubber buttons to the front with access to the ports on the back behind pull out flaps. The speaker is the active sports style you see joggers or fitness fans and active people like to wear high visibility yoga pants, body armour underwear style stuff. You know what I mean right? I love the bass tweeter on the top and bottom vibrating! I’m not saying I don’t like how the Braven Stryde 360 looks, because I do. I like that luminous green trim top and bottom. The speaker is certainly robust too, we’ll get to the IP67 rating in a second. I let my 15 month kid “play” with the product. He rolled it up and down the kitchen floor tiles a dozen times, turned it up on it’s end and poked the tweeter with his finger until I took it off him. If this kid didn’t break it, under normal use there would be zero issues with build quality, materials and construction. I didn’t drop test but I reckon we’d be good from waist high or off a kitchen counter or windowsill. “So Ste, what’s it sound like?” I hear you ask. The Braven Stryde 360 sounds great, I knew it would though. The 360 in the branding fills the entire room at high volume, with more attention to the bass the Stryde 360 distributes a smooth sound, it’s a consistent 360-degree listening experience from the dual passive radiators. The listing states “custom in-house tuning,” I do appreciate that. It doesn’t sound like the speaker is sat on the shelf, the sound comes from everywhere. Perfect for my House / Deep House / Techno music tastes. IP67 rating means that the Braven Stryde 360 is fully protected from dust and can also withstand being submerged in 1m (about 3.3 feet) of static water for up to 30 mins. Perfect for on-the-go types or as a shower companion if you like to sing power ballads from the 80’s. The ability to charge an external device is a bonus but with only 2500 mAh internal battery, this feature might work for a quick solution and not for charging tablets or such. Priced at $100, we’d recommend potential customers to buy the Braven Stryde 360 most definitely. The speaker does sound great if you like a little more bass, the 360 degrees audio certainly fills the room with your favourite tunes too. Play time in testing was a few hours short of the 10 hours mentioned in the listing, but that’s something we can deal with no problem. The main selling point is the IP67 which is fantastic for outdoor listening, remember to make sure the rubber flap covering the ports is secured properly. Styling and the design can be subjective but I personally dig it.